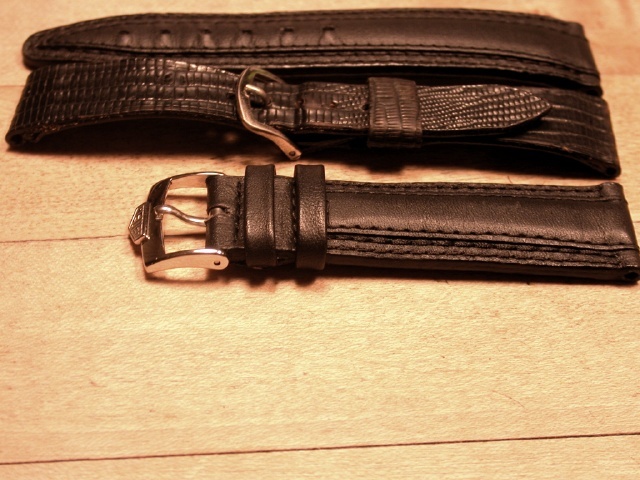 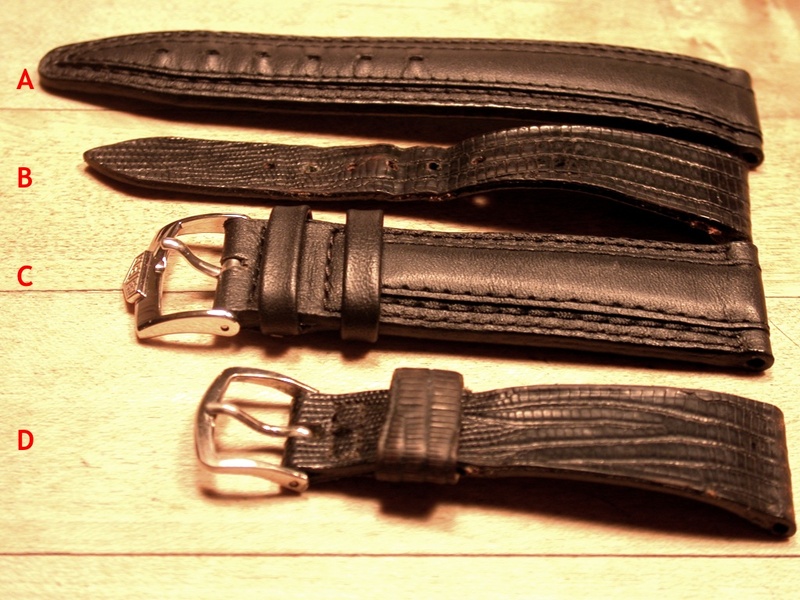 For this last picture set the strap at the second from the tightest hole. 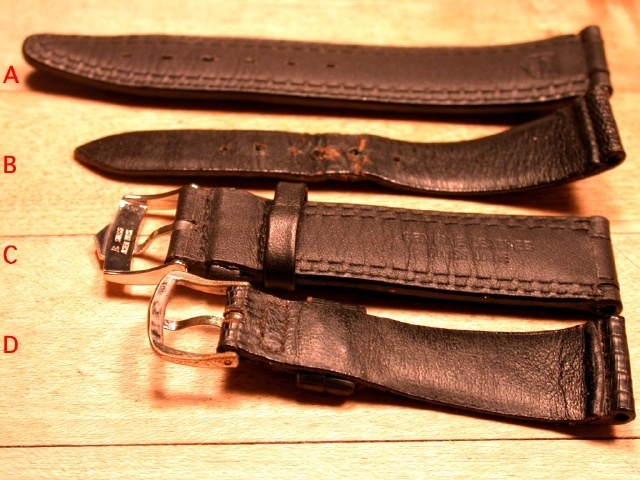 This hole and the next (third most tight) was where this watch was most frequently worn. Notice that the total overall length of this strap, is just barely the same length as the 6 o'clock end of the regular sized strap suitable for this watch! 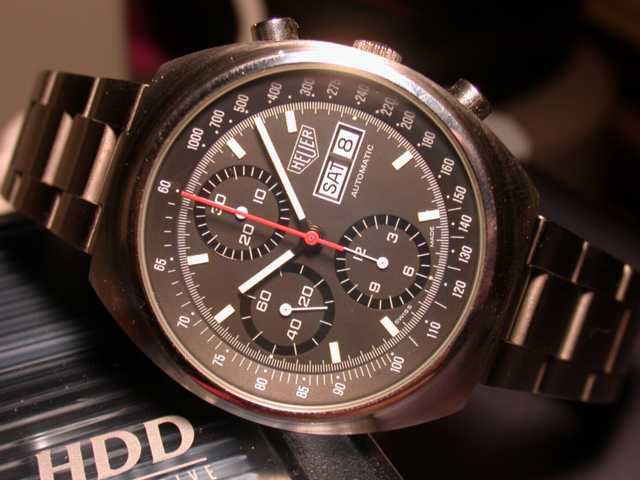 It amazes me to this day that someone with such small wrists wore a watch as big and bulky as a 7736 equipted Autavia!